Every city seems to have the standard postage stamp size lot neighborhoods. Not every city has acreage neighborhoods like Rockford’s Scenic Acres. Scenic Acres is located just feet outside the Rockford City limits in the Township. The main feature home buyers like in Scenic Acres is the convenience of living in a growing city like Rockford yet having and acre or more of land to play on and enjoy space most neighborhoods simply don’t offer. Scenic Acres consists of home style from one level to multi-level homes that range in price from the upper $100’s to over $250,000. Buyers looking for small acreage in Rockford have found Scenic Acres to be a great choice. If you’re looking in Rockford for small acreage and don’t see what you want let us know. We often have non-mls properties we can let you know about. When selling a home on acreage you want to make sure to elaborate on the benefits of the large lots and open space. Buyers looking for homes on acreage in the Rockford area will Google words like; Rockford acreage, land for sale in Rockford so make sure your marketing is presented in a way to capture those leads. 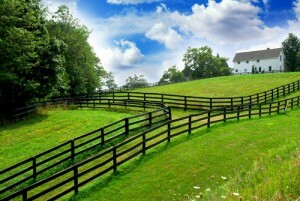 Want to know what your home is worth in Scenic Acres? Easy, click here to find out now. Starting from the Plymouth area of 494 & Hwy 55 head West to Rockford, turn right or North on County Rd 20 otherwise knows as Jansen Ave SE to left on CR 33, follow approx 1 1/2 miles to Scenic Acres on your left.